The Kara Kar 8’ Gooseneck range are the ultimate in horse floats. 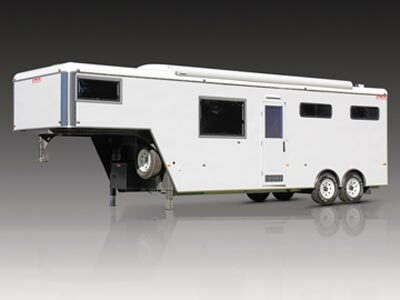 The extra width creates a spacious environment both within the cabin and horse areas. Longreach floats can be extensively customized to suit the most discerning horse lover and can provide the luxury of every creature comfort and practical solution imaginable for transporting and caring for you and your horses on extended trips. All models in Longreach Gooseneck range can be towed behind most late model 4x4 utes. Tare and internal dimensions are dependant on the choices you make to customize your Longreach – please contact your Kara Kar agent for details. The Kara Kar 8’ Gooseneck range are the ultimate in horse floats. 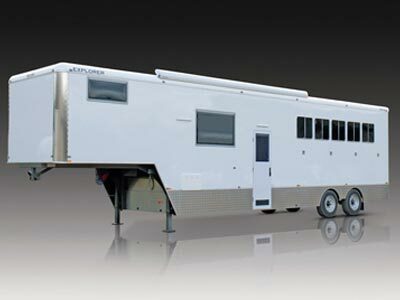 The extra width creates a spacious environment both within the cabin and horse areas. The Explorer Gooseneck can be extensively customized to suit the most discerning horse lover and can provide the luxury of every creature comfort and practical solution imaginable for transporting and caring for you and your horses on extended trips. The Explorer Gooseneck is an air brake operated trailer with hydraulic tailgate and jack stands. Tare and internal dimensions are dependant on the choices you make to customize your Explorer – please contact your Kara Kar agent for details.